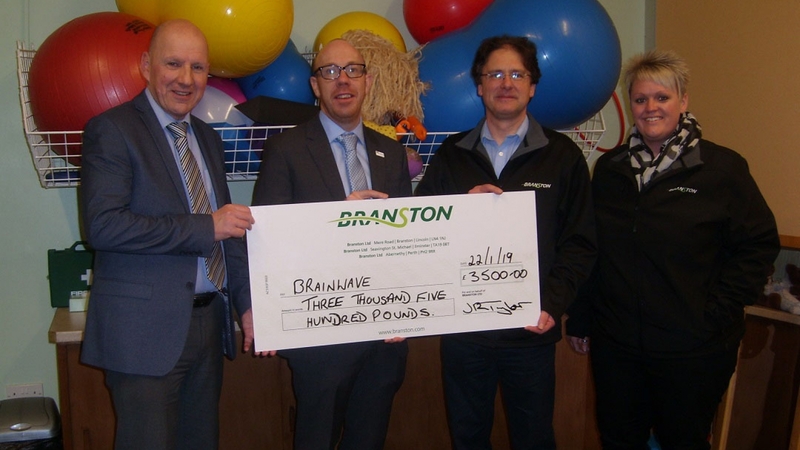 Branston’s South West site got 2019 charitable donations off to a great start with a cheque presentation to the Brainwave Centre in Bridgwater. The Brainwave Centre exists to help children with disabilities and additional needs to achieve greater independence by aiming to improve mobility, communication skills and learning potential through a range of educational and physical therapies. The Brainwave Programme aims to develop the maximum potential of each child by taking an integrated approach to their physical and cognitive development and by aiming to enhance a child's social skills and emotional well-being. The donation from Branston will support the cost of one child’s treatment for a 12 month period, allowing those less fortunate to benefit from the fantastic work and support available that otherwise they may not have access to. Over the years, Branston have donated in excess of £17,000 to this fantastic charity. Find out more about Brainwave and the work they do here. Photo (L to R): Philp Edge, CEO, and Rhodri Davis, Head of Fundraising, Marketing and Communication, from Brainwave with Jonathan Taylor, General Manager and Vikki McKenna, HR Manager from Branston.